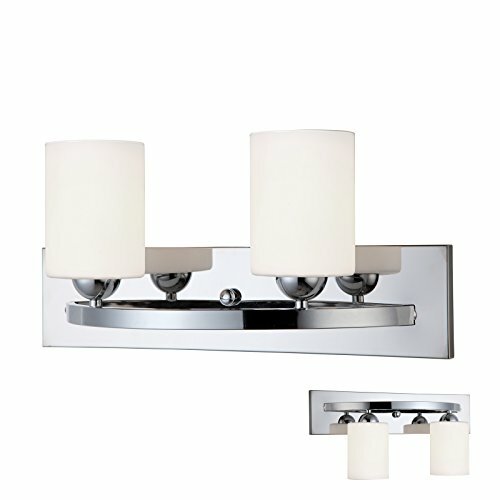 The Chrome 2 Globe Vanity Bath Light Bar Interior Lighting Fixture adds a great modern feel to your bath. With its curved lines and and frosted glass accents this double vanity light looks great above a bathroom mirror or sink. Includes mounting hardware and 1 Year Warranty. Back/mounting plate measures 18" x 4.25"
If you have any questions about this product by HowPlumb, contact us by completing and submitting the form below. If you are looking for a specif part number, please include it with your message.